And the impossibility of letting go which. And Ryan Tedder used this idea as a concept for composing the song. He's still the most important person that's ever been in my life, and 'Someone Like You. spent with him. And when I did it, I felt so freed. the top five in many more regions. 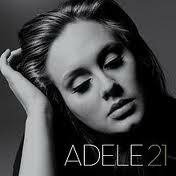 It was Adele's first number-one song in the United States.